* The Wellco H305 5 Fin Oil Filled Radiator provides gentle radiant warmth making it perfect for almost any room (except bathrooms). It features a adjustable thermostatic control to ensure the heat in your room is at an optimum level. 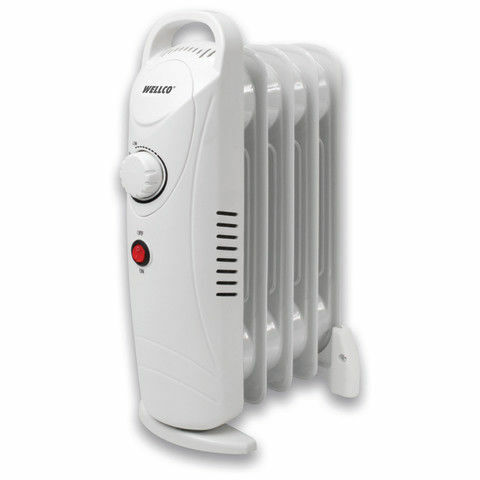 For your convenience the heater also features a carry handle for ease of movement and storage. This oil filled radiator requires no installation and provides the flexibility of portability.